“What we have done is kicked this can down the road. We are now at the end of the road and are not in a position to kick it any further…” (President ‘Elect’ Barack Obama, January 2009). 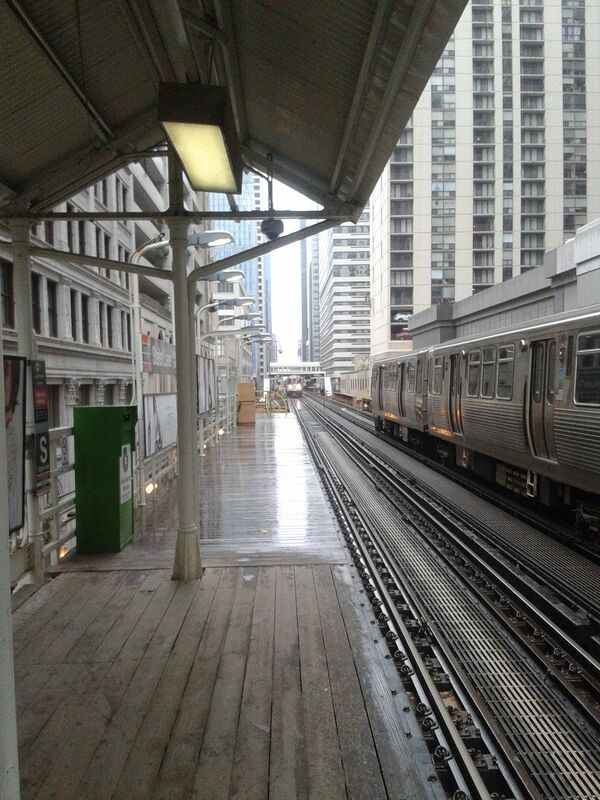 Last month, Chicago was the setting for the Association of American Geographies (AAG) Annual Meeting. CURDS organised a number of sessions at the Annual meeting, where 18 international academic experts presented a range of papers that examined the funding, financing and governance of national and urban infrastructure. The presentations provided an important contribution towards studies that CURDS has been leading within the EPSRC and ESRC-funded iBUILD infrastructure research project <https://research.ncl.ac.uk/ibuild/>. This week (11-15 May 2015) is ‘Infrastructure Week’ in the United States, where thousands of stakeholders will state the case for investing in and modernising America’s critical infrastructure assets and systems, and reemphasise the essential role that infrastructure plays in supporting economic recovery and growth. The event is expected to see politicians, business, unions, academics and other advocates deliver a firm message to Congress that America needs to find immediate solutions to future infrastructure investment. It is estimated that the U.S. must spend at least $150 billion more per annum on its infrastructure up to 2020 <http://www.mckinsey.com/insights/americas/us_game_changers/>. When visiting the U.S. it is impossible not to be struck immediately by the infrastructure crisis facing the country, whether this relates to airports, ports, heavy or light rail/metro transportation, road surfaces and bridges. 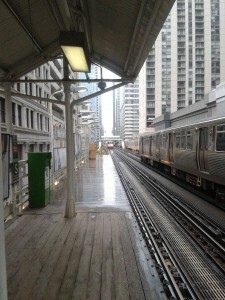 Major cities, such as Chicago, are teaming with high-rise skyscrapers and condominiums but bound together precariously by visibly ageing and deteriorating physical infrastructure. There is a growing disconnect between the historic low cost of long-term finance and new investment in infrastructure, which currently stands at its lowest level in the U.S. since 1950. The problem of legislative ‘grid-lock’ in Washington D.C., with a Democratic president and Republican-majority senate and congress increasingly at odds with each other has fuelled a situation where politicians at all levels of government are extremely reluctant to raise new revenues by increasing taxes and user fees to fund infrastructure improvements. How and where choices are made about American infrastructure are complex and decisions are determined by funding sources, regulatory frameworks, geographies and politics. The federal gas tax, for example, which funds the US federal highway trust fund, and the inter-state road network, was last raised in 1993. Consequently, the index link was broken and the cost of maintenance and renewal of major roads in the U.S. now outstrips available revenues. The fund faces insolvency in the next few weeks unless Congress agrees new resources. Amidst the political impasse, President Obama has tasked a high-level group with presenting new proposals on how the private sector could increase its financial contribution to US national and local infrastructure. Whilst this is a laudable proposal, the brutal fact remains that politicians are skirting around the fundamental question of how infrastructure should ultimately be paid for; the answer to which lies in either taxation or user fees. The upfront financing of infrastructure is more straightforward in that private capital can be moulded and deployed in different ways through a variety of investment models. There are, however, grounds for optimism. In Ohio, the state held a ballot (i.e. referendum) in 2014, which resulted in voters approving tax increases to fund new infrastructure improvements in roads and bridges, which will be financed initially through a $1.85 billion 10-year bond issuance. Other states and local governments are now adopting similar measures. Before assuming office, President Obama said that decision-makers in the United States should be honest with the electorate about the difficult choices facing the country. The U.S. needs to identify and agree ways of increasing investment and improving the efficiency of infrastructure, whilst accepting that there is no ‘free lunch’. It is a difficult, yet simple, message facing governments in America and across the globe, whether they choose to admit it publicly or not.